Situated at the end of a quiet court, this immaculate property is perfectly located diagonal to a children’s playground and park area, and within walking distance to central Cowes. 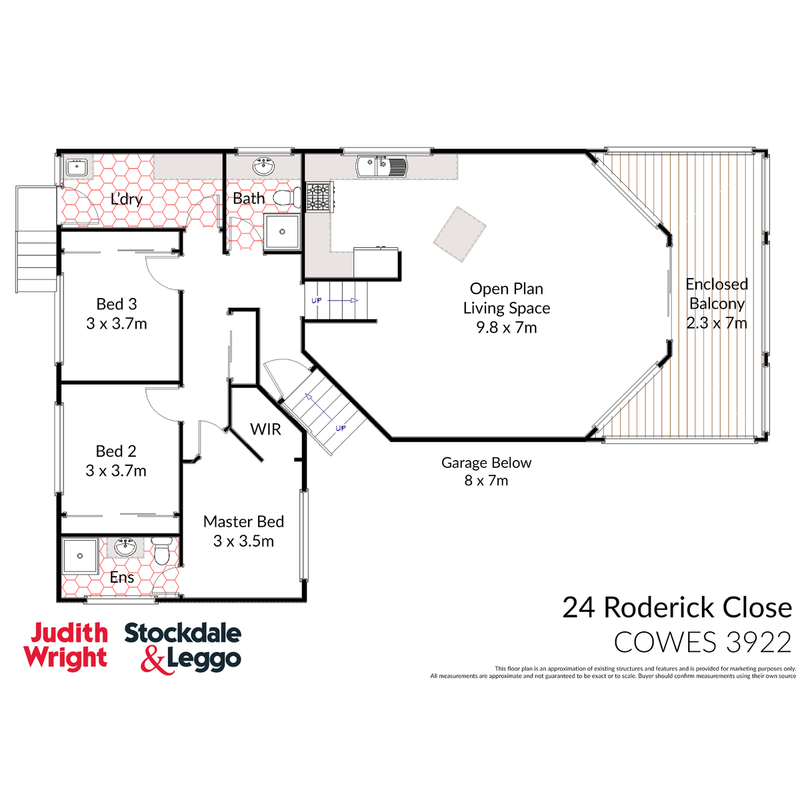 The lower level offers three spacious bedrooms, two with built in robes, the master with walk in robe and ensuite, a family bathroom and large laundry which opens onto the rear yard. All bedrooms feature ceiling fans, electric heaters and big bright windows to welcome the natural light. The upper level is designed for family and entertaining with a well appointed kitchen and generous open plan dining and lounge area which extends onto a fully enclosed west facing balcony – the perfect space to enjoy the summer sunshine or in the cooler months with the fully enclosed café blinds, enjoy the warmth while looking out over the trees and gardens. A double garage with extra wide storage space is attached to the home, and with its immaculate presentation, could be easily converted into an additional entertaining area or games room. The property provides a wide concrete driveway which extends into the secure rear yard and includes a storage area for boats or caravans with permits in place for the construction of a carport. The property is fully fenced with beautifully landscaped gardens, established trees and extensive vegetable gardens with plenty of lawn area for ball games and fun. Priced to sell, this home is ready for you to move in and immediately enjoy or as an income generating investment. Perfect location to raise the family in a quiet yet central location or enjoy as the ultimate weekend getaway. Arrange your inspection today.